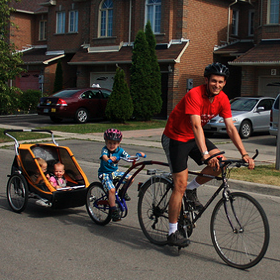 Warden Avenue is one of the most popular recreational cycling routes in York Region. You can ride it from Markham all the way to Lake Simcoe in Georgina. Here's some footage of my ride on Warden travelling southbound from Stouffville Rd to Major Mackenzie Drive on Sat, June 20th at about 1pm. Major Mackenzie is around where the country meets the city. Unfortunately, the City of Markham's urban boundary expansion is pushing development further north. There are lots of farms, greenery and rolling hills. This particular segment has a wide paved shoulder, but further north it is a shared roadway with no shoulders. Warden, Kennedy, McCowan and others are enjoyed by hundreds of cyclists each week. I often hear of complaints between motorists and cyclists. Either motorists are trying to pass unsafely or aggressively, or cyclists taking up the road and not leaving space to pass. 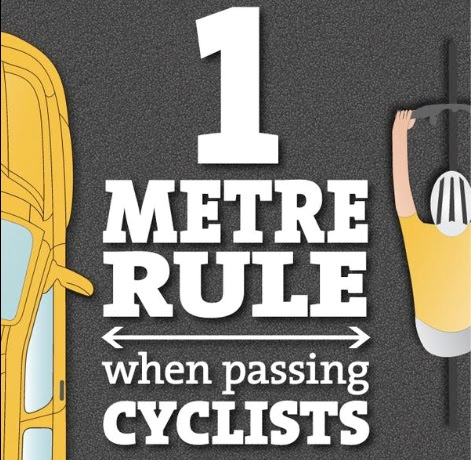 York Region has developed an educational campaign in partnership with York Regional Police (YRP) and the Canadian Automobile Association (CAA) to promote cycling safety and respect for all road users. The campaign was launched on May 14 with a media event at Highway 7 and Leslie Street in the Town of Richmond Hill. The York Region Cyclist’s Handbook, a practical guide containing rules of the road and safety tips, was launched at the event. On June 2nd, the Province passed the Making Ontario’s Roads Safer Act, which includes increased fines for offenses like dooring a cyclist, and a 1m safe passing law. We all have a part to play in making our roads safer. Please ride and drive with care.